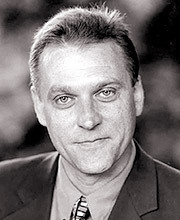 John Chancer is the award winning narrator of many audiobooks. He is an American who has a long association with the theatre on both sides of the Atlantic. John’s recent television appearances have included Broken News, Spooks, The Long Firm and William and Mary. Films include Unstoppable, Grim and Project: Shadowchaser. He has also been heard in many radio dramas, documentaries, and cartoons in Britain, US, and around the world. He has read Norwegian Wood for Naxos Audiobooks.